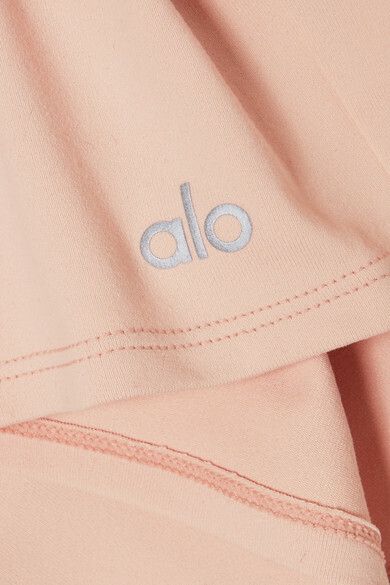 Alo Yoga's founders Danny Harris and Marco DeGeorge are obsessed with ensuring that each design fits perfectly - that's why staff and instructors at the HQ 'wear-test' them before each one goes into production. This cropped tank is made from peach four-way stretch fabric enhanced with moisture-wicking antimicrobial technology. Wear yours with leggings to complete Vinyasa or morning flows on the mat.